Irish people are known for being very social and friendly. They certainly are and they also have very good sense of humour. To put you in context for this joke, daft.ie is Ireland's no. 1 property website. 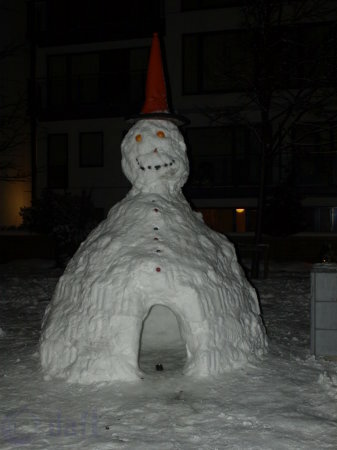 Taking advantage of the latest snows in Dublin, Mr Plow has decided to let his apartment for just 57€ per week. Deceptively spacious open plan unfurnished studio in one of Dublin's top locations. Carbon neutral, hand crafted Inuit design, beautiful ambient light leading to rooftop garden. The studio comfortably sleeps five.